As Morning Madonna continues to grow, I am always looking to further diversify my posts. This will allow me to discuss more of my interests outside of lingerie and ultimately celebrate some of the best Scotland has to offer. Thus, here is my first post. I hope you enjoy. 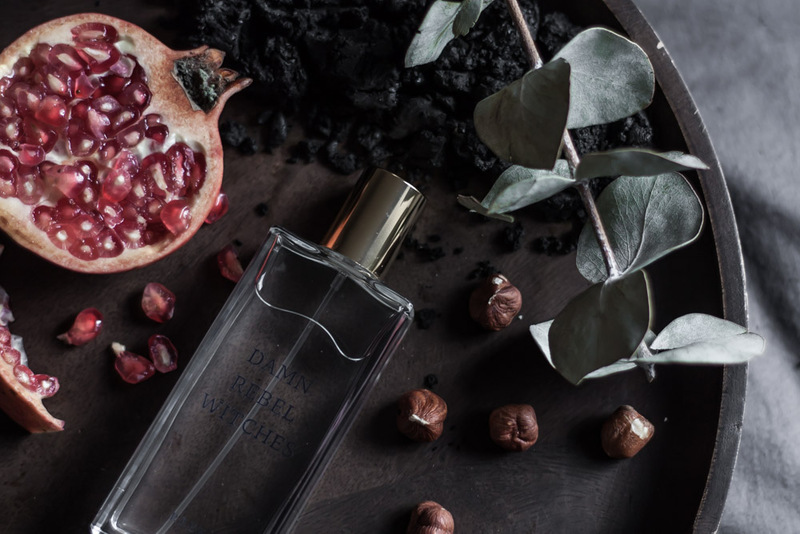 Dark, woody scents laden with incense are my go to when it comes to perfume. Even in summer I still prefer to smell like a Catholic church at Christmas. I’ve never been a fan of overly feminine or sweet scents, however I have recently been on a quest for something different. Something slightly fresher than my usual heady aromatic scents but still distinctly dark and unisex. I have to admit I’m no expert when it comes to perfumes but I know what I like and Damn Rebel Witches is exactly that. 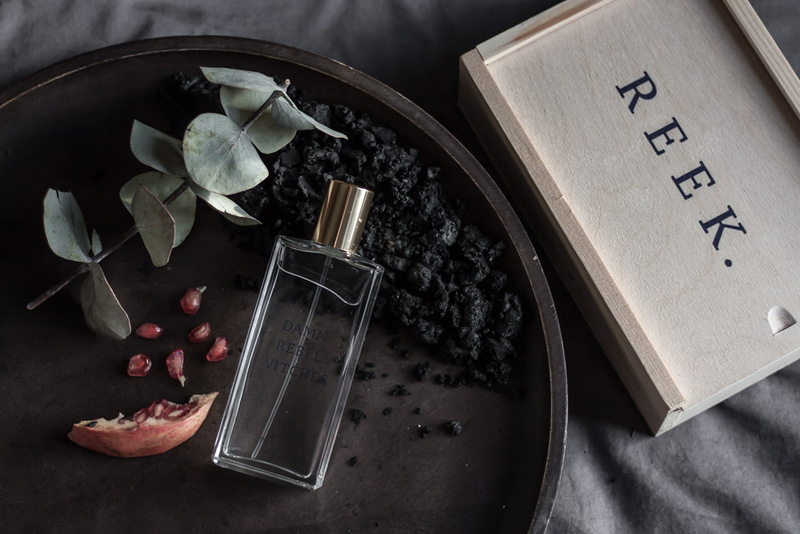 Created by award winning independent perfumer Sarah McCartney, this scent is earthy, leathery and primal with just a hint of sweetness, thanks to the blood orange (not pomegranate like in my photos but it’s damn difficult to find a blood orange in Glasgow). It makes me think of a dark forest, of moss, of fresh fruits hidden in leafy bushes. The perfect setting for a coven to meet in secret, discussing hexing those who most deserve it.